THE importance of SMEs in any economy cannot be understated. They play a formidable role in national development by creating employment, contributing to domestic and export earnings, reducing poverty, and spurring product innovations. 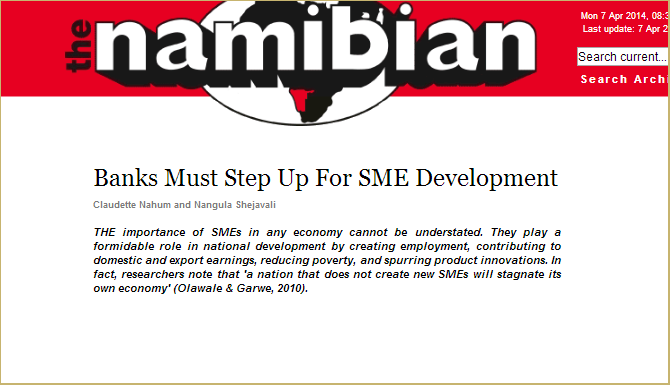 In fact, researchers note that 'a nation that does not create new SMEs will stagnate its own economy' (Olawale & Garwe, 2010).